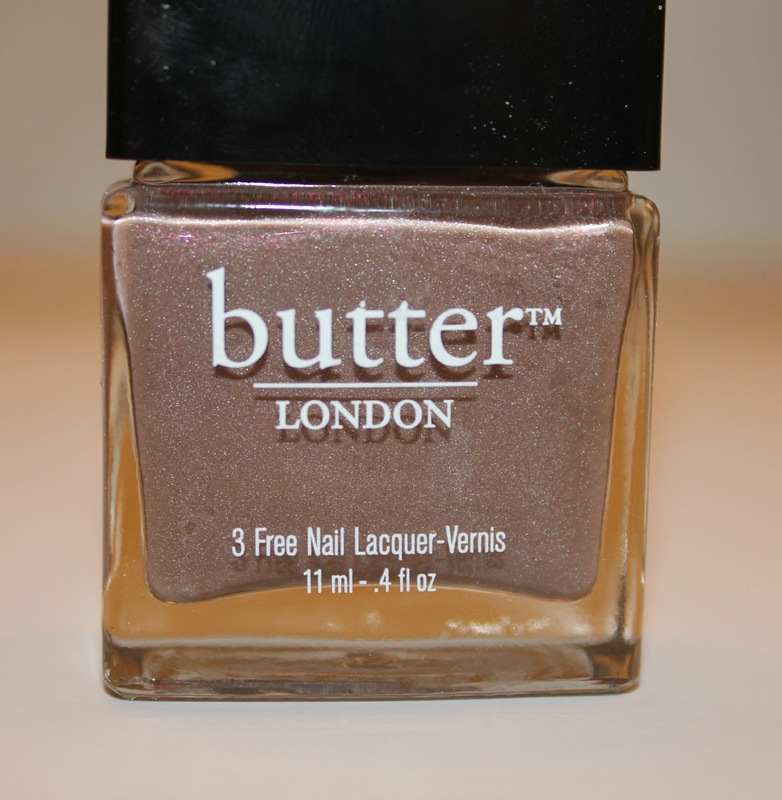 butter LONDON is one of those brands that has been getting a lot of face time on beauty blogs and in magazines. i have been dying to give it a try and HUGE thank you to Coterie for offering a selection of three colors and one matte shade for free. first let's discuss Coterie. it is a new online beauty shop that offers the latest and most buzzed about products at incredible deals. i may have received these for free, but YOU can get discounts on your first order in addition to the incredible limited time deals they offer. i am excited to share an exclusive discount where you will receive $20 off your first order by clicking here. below is a swatch of my favorite color All Hail The Queen. it is the perfect greige color with a subtle shimmer. i love the neutrality of it, this color goes with everyone and everything. if i could find a pair of shoes in this color i would be in heaven. The discount should automatically be applied when you check out on your first order. Try filling your basket and head to check out. If $20 is not automatically applied I will e-mail the company for further info. Thanks Meagan!